One day Roos Soetekouw found herself in Micropia, the museum at Artis where micro-organisms such as moulds, yeasts, bacteria and (micro) algae are the main attraction. She became fascinated by the microbes and was particularly impressed by the fungi – a world of colours, shapes and even multi-functions. 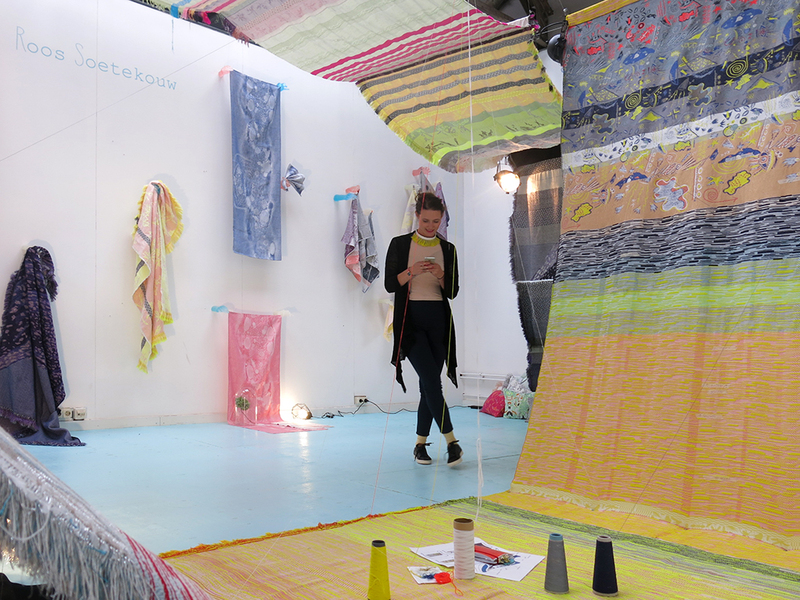 This inspired her to create Fungy!, the textile collection she will be presenting at the Design Perron during this year’s DDW. 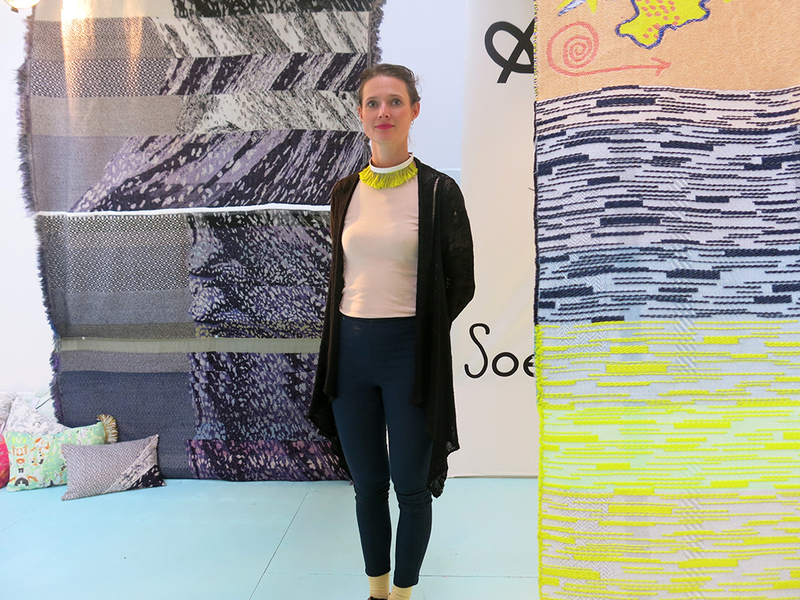 Graduating from the Amsterdam Fashion Institute in 2010, Soetekouw went on to design rooms at the Exchange Hotel in Amsterdam. Fungy! 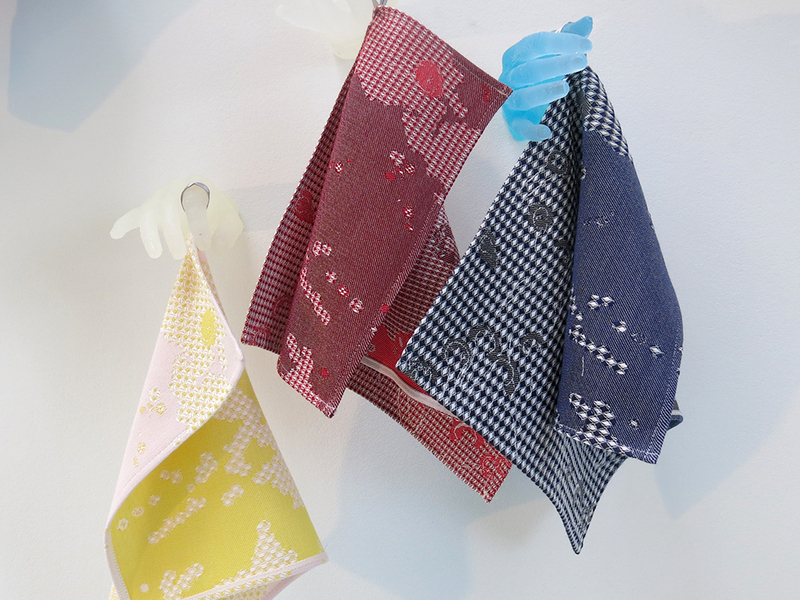 is her newest collection of textiles for the kitchen – the place where fungi can really thrive. 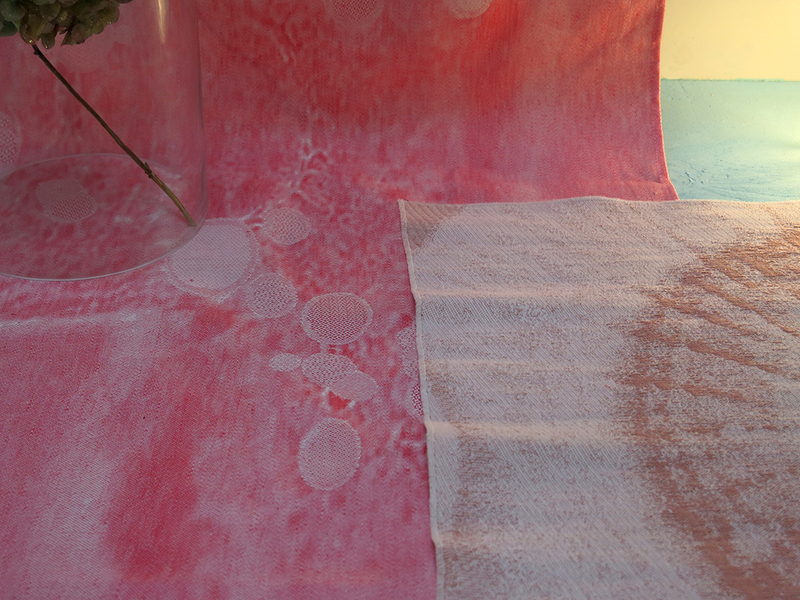 The fungal structures are worked into place mats, tea towels and table runners. 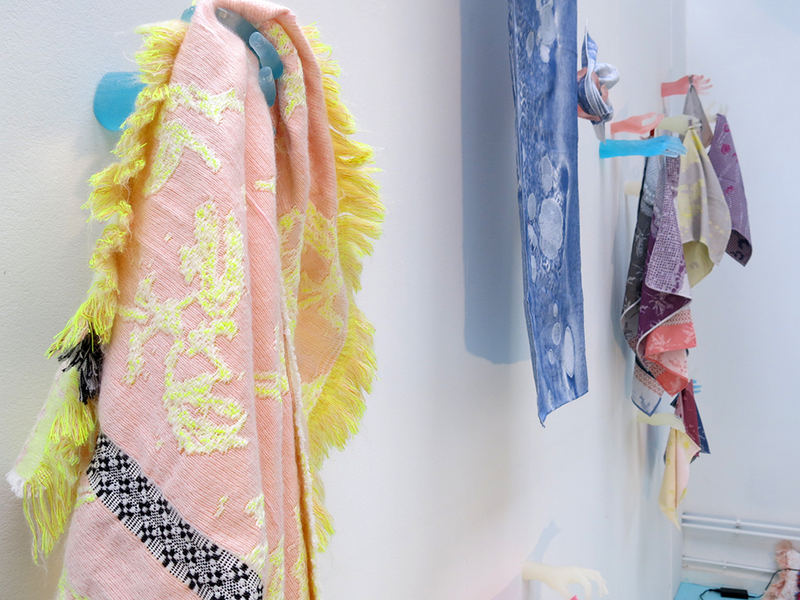 The designer’s studio is in Amsterdam-Noord where the sketching, painting and claying takes place. Soetekouw wants to be able to feel her ideas before converting them into computer files sent to the weaving machines. 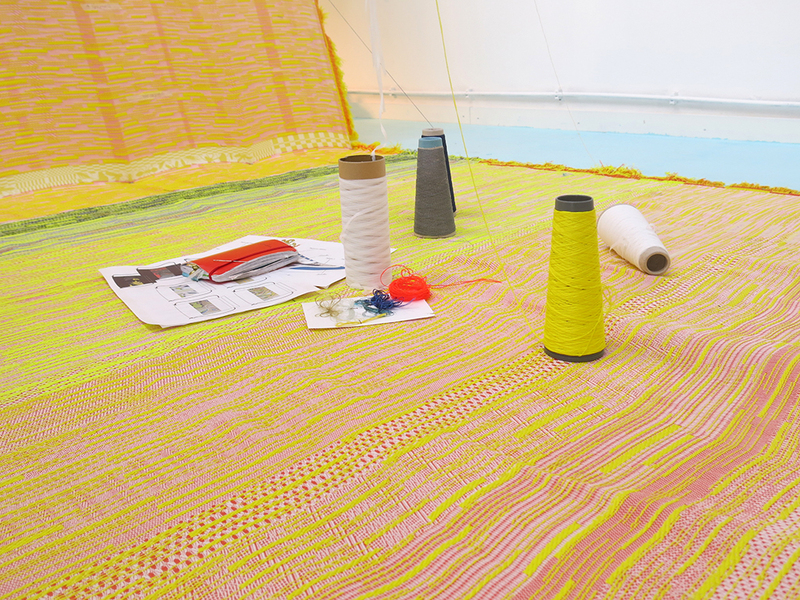 The actual weaving takes place at the TextielLab in Tilburg, a workshop specialising in fabric manufacture. 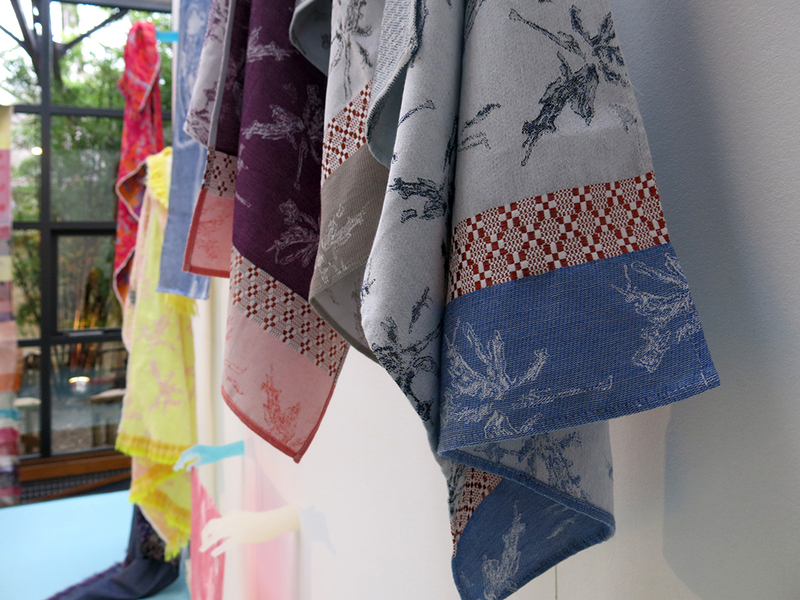 Soetekouw created this collection out of cotton and linen. 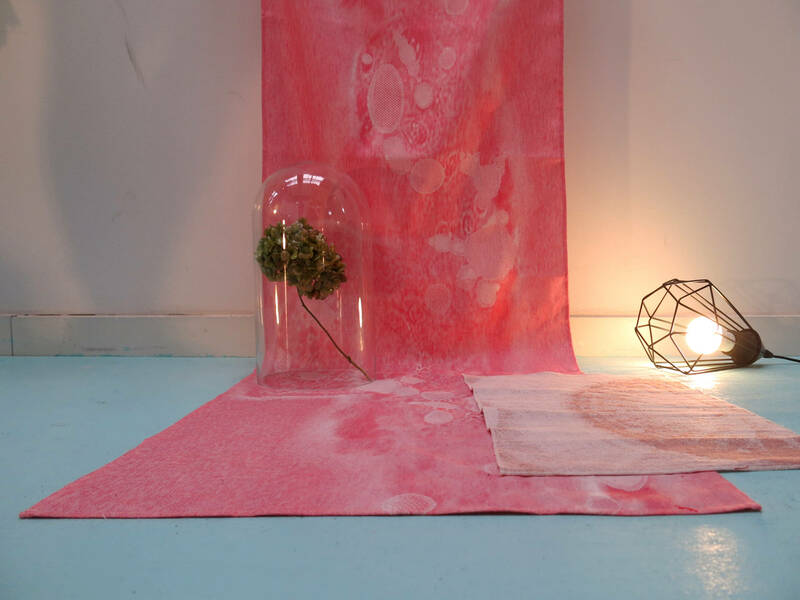 Nylon was also used for some items, which is a nod to the discovery that some kinds of fungi in the Amazon can eat plastic – and now place mats too! Fungy! 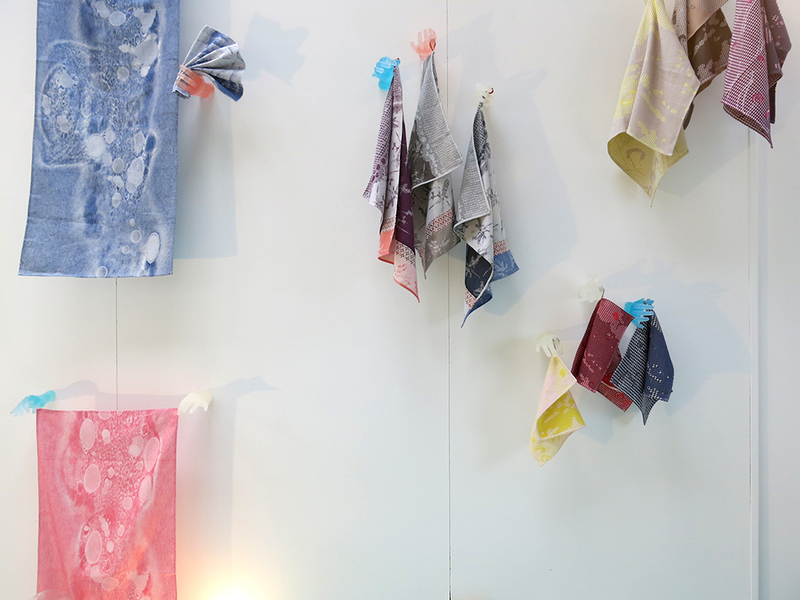 : a textile collection for and from fungi.